There have been a few new additions to the EPM Cloud 17.07 release that I thought might be worth quickly running through. To coincide with this there is also the option to clear data using the REST API which I will get on to later. So basically relational data can now be cleared as part of the clear cube job and the options for clearing ASO data have been split into a basic and advanced mode. By using the member select you could define the area of the cube which you wanted to clear. This would automatically generate MDX which was not always the best but at least it could be manually updated. 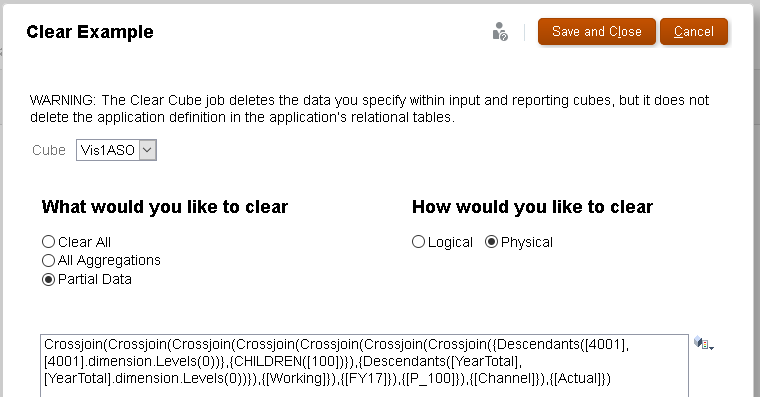 One of the problems with the clear cube data jobs was that if you had any relational type data like comments, supporting detail or attachments there was no option to clear them. For example if I had the following data in a form which has a comment attached to a cell. If the clear cube job was run the data would be removed but the comments would still remain. Ok, so you could go to clear cell details from the navigator but that would mean defining the POV twice. Moving swiftly on to the July release, let us see what changes have happened. If you create a clear cube job you will see there is now the clear options where you can select from Supporting Details, Comments, Attachments and Essbase Data. For ASO cubes, if Partial Data is selected then you have the new basic or advanced mode for defining the area of the database you would like to clear. 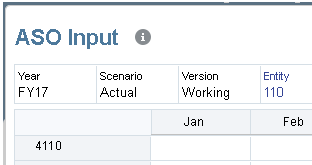 Using the Basic mode you can use the member selector to define where you want to clear data. In the advanced mode you have to paste the MDX directly into the input box, if you select Basic mode first, define the POV and then switch to Advanced you will see the MDX that is going to be executed. If you do switch to Advanced mode the relational type clear options will be deselected and unavailable, so keep watch out for that. Then switch to Basic Mode the dimension and members section will be blank, so it works going from Basic to Advanced but not the other way around which is understandable because it could be a complex MDX statement and that would be asking a little too much for it to be converted into the basic format. It is possible to select any of the clear options, so for example if you only wanted to clear comments and not Essbase data. Let us take a quick example with a form that has data and a comment. After only selecting comments in the clear options and running the job only the comments are deleted. Before the July release once you had created a clear cube job the only way to run it was by submitting it from the UI or setting up a schedule, what was missing was the ability to run the clear from outside of the UI or predefined schedule. At last this is now possible and starting with the 17.07 EPM Automate utility there is a new command called “clearcube” available. The new command is extremely basic and will only run a clear job already defined in the UI, when I heard there was going to be a new command I was hoping that it would be possible to set up the various clear options and even pass in the MDX using command parameters but unfortunately that is not the case, maybe that will happen in the future or maybe I am just asking for too much. is the name of a job defined in the application. Time for another example and back to the same form with data and a comment. The command completed successfully and checking the jobs section in the UI we can see the job has been run. 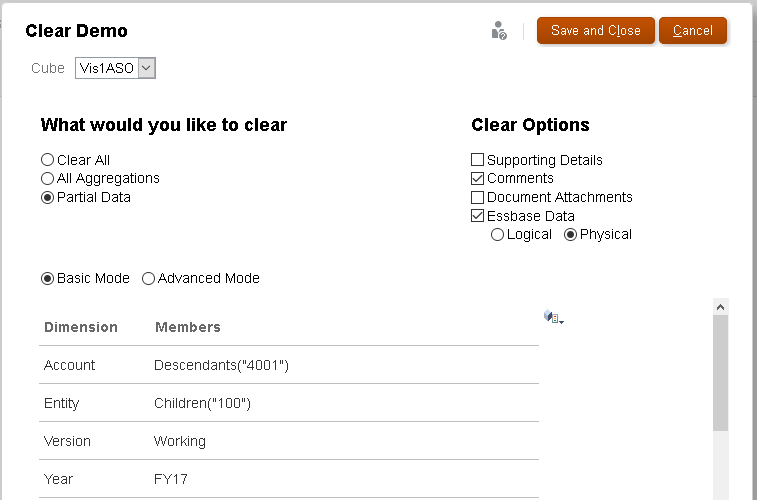 Clicking on the job provides details on the options that have been executed as part of the clear. Going back to the form and the Essbase data and comments have been cleared. If you have ever used the REST API to execute a job then it will be very familiar because it is the same resource just a slightly different payload. Before testing out the REST resource I updated the form to include supporting detail. The clear cube job was updated to include supporting details. Using a REST client I can make a POST to the resource with a payload to run the “Clear Demo” clear cube job. The response includes much more information than working with the EPM Automate utility, it includes the details on the clear options that have been run as part of the job. 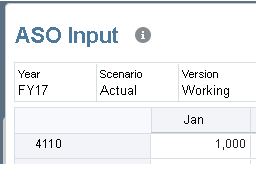 The response also includes a URL so a GET request can be made to return information about the job, this is useful if the job is in a running state so it can be repeatedly checked until it has completed. The response contains status information and the job was completed successfully, a check of the form and the data, comments and supporting detail have been removed. Finally, we can turn this to the scripting world, before creating a script I updated the form to include an attachment. The clear options for the job were updated to include attachments. I created a simple script to make a POST to the jobs REST resource including in the payload the job type and job name. The response confirms the job was successfully completed and a check of the form shows the data, comment, supporting details and attachment have been cleared. Well that completes a look at the new clear cube functionality, hopefully you have found it useful, until next time. So basically once you installed this patch if any Essbase application has been idle for 15 minutes they will automatically shutdown, I can't say I am that impressed with the way this has been forced as on as default, there could be many reasons why you don’t want your applications to shutdown after being idle for 15 minutes so surely it would have been better to have the default as off and then enable it if needed. Ok, you can change the idle time or disable the functionality by adding the setting to the cfg with a value of zero but it is something you might not be aware of when your system is patched and then suddenly you notice applications shutting down. Anyway, I have patched Essbase and not added the new cfg setting so let us see if it is definitely being enforced. Start up everybody’s favourite Sample application and leave idle. Wait 15 minutes and check the application log again. That confirms the new feature is being enforced by default. Let us see if the default can be changed by adding the setting with a different value than the default. The Sample application was restarted and left idle. The setting is being picked up and applied correctly, it also confirms that only the application and not the Essbase agent needs restarting after adding or making changes to the setting. I did check to see if it is possible to define at application level. After restarting the application, the following error was generated in the application log. Invalid or Obsolete Configuration Setting - essbase.cfg(73): "SVRIdleTime Sample 5"
As there is no mention of it in the readme and because an error is being generated it looks like it is not possible to define the idle time at application level. I also tested the setting with a value of zero and it does look to disable the auto shutdown on idle feature. "26682267 - The default for the Essbase Configuration Setting SVRIdleTime has been increased from 15 minutes to 120 minutes as some operations would fail due to the system being idle." Update 18/10/17 - Yet another update, from 11.1.2.4.021+ the default setting have been changed to 0 which means it is off, looks like it can possibly cause corruption in ASO applications. "26850650 - In some cases, when using the configuration setting, SVRIDLETIME, can cause an Aggregate Storage Application to become corrupt. The default setting is now 0, which is off." Update 11/01/18 - Just when you thought there would no more updates to this setting, now it seems to seems to be have disabled. "27013042 - SVRIDLETIME has been disabled in Patchset Update 11.1.2.4.022."